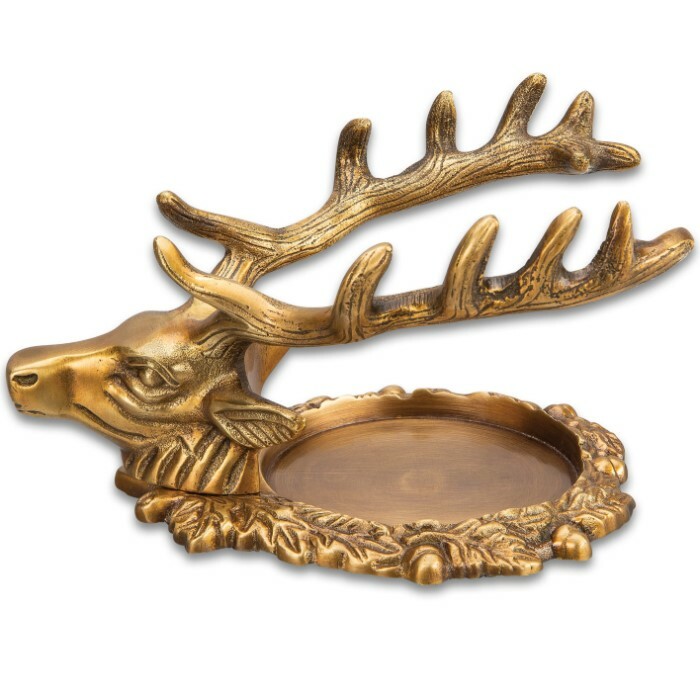 Antiqued Brass Stag Inkwell Stand - Solid Brass Construction, Highly Detailed, Pen Holder - Dimensions 6 1/2”x 4”x 3 1/2” | BUDK.com - Knives & Swords At The Lowest Prices! 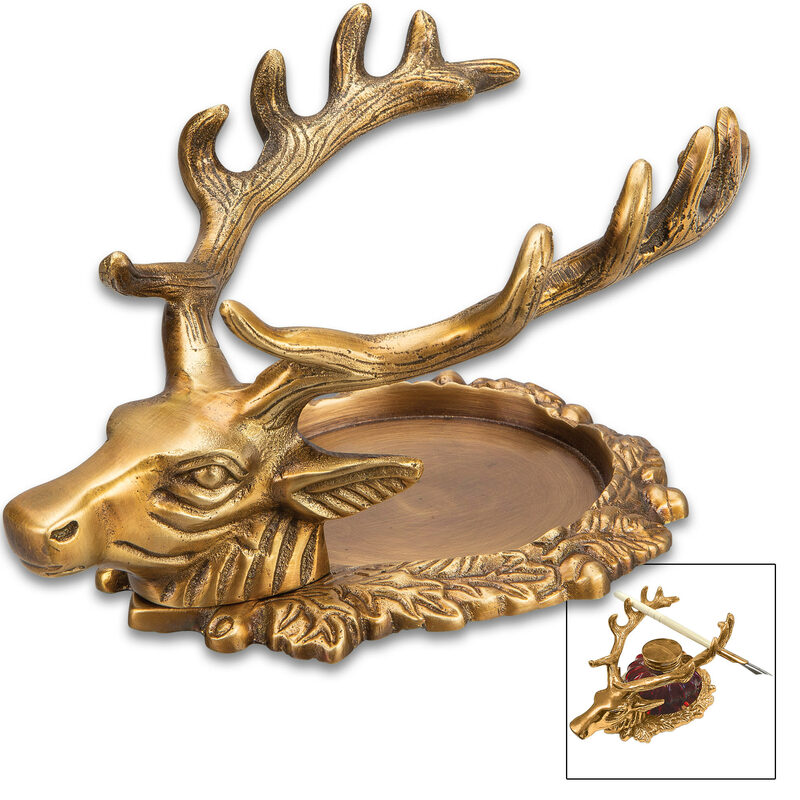 Adding a touch of Old World elegance, our Antiqued Brass Stag Inkwell Stand is a great vintage-look decorative accent for your home or office. This beautiful desk piece has been crafted of solid brass, with an antique finish, and is rich in intricate details. 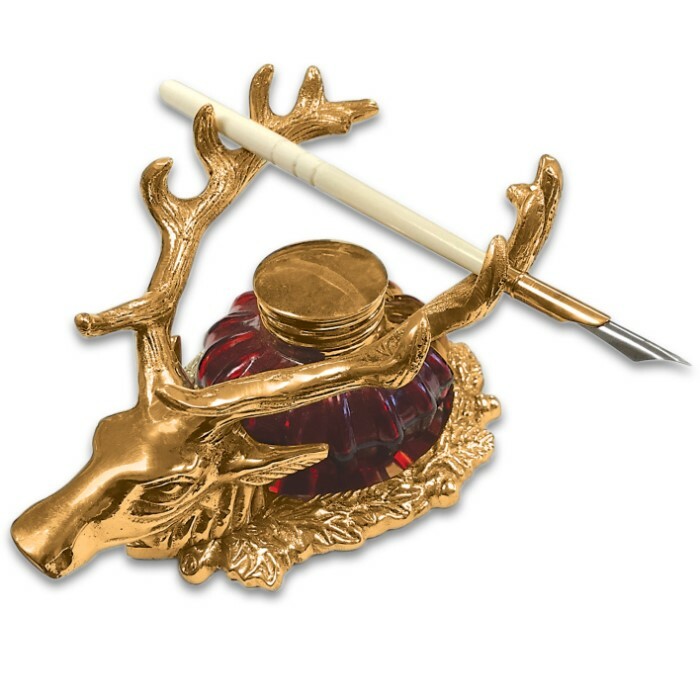 The inkwell is sculpted in the shape of a deer head with antlers that will hold three pens and a flat base wreathed in leaves. Add this attractive 6 1/2”x 4”x 3 1/2” piece to your desk accessories in your home office or at your work office.